Hip Dysplasia is a common condition of large breed dogs, and can be seen in a variety of different breeds. It is a condition where the ball or femoral head of the hip doesn't fit snugly within the hip joint. It is a disorder of the growth and development of the hip joint, and due in part to genetic (inherited) factors, but influenced by a number of other factors including body weight and exercise. The disease develops during the growing phase of a puppy but often will not lead to signs of lameness, stiffness or pain until much later in life when permanent joint damage has occurred. Sometimes pain or restriction of hip movement can be detected during examination of a puppy. Sometimes there may be subtle signs such as stiffness, reluctance to play, an unusual gait or “bunny-hopping” motion, and reluctance or difficulty in walking up-stairs or inclines. 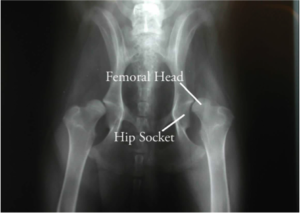 A diagnosis of hip dysplasia is made by taking radiographs (x-rays) of the hips, and in young animals may require specialised screening techniques to assess for hip joint looseness and to determine the risk of painful arthritis later in life. This can be performed as early as 16 weeks of age, long before deterioration of the joint has occurred and arthritis has developed. If identified early enough, preventative treatment strategies can be started early to limit the long term damage to the joint, with the aim of maintaining comfort and activity levels into old age. 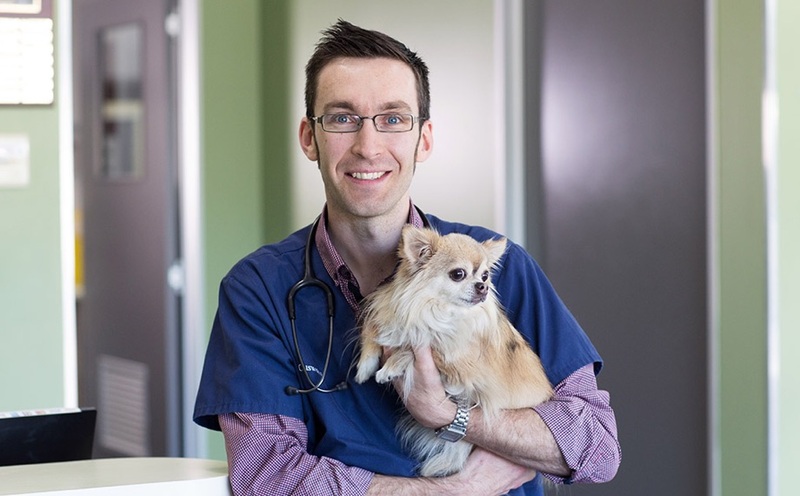 Please talk to our Veterinarians if you have any concerns about your pet’s mobility or if you are interested in booking in a screening test for your dog.